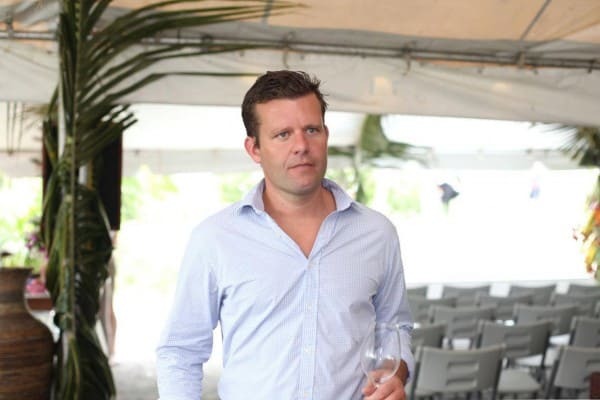 Liam Steevenson became the world’s youngest Master of Wine at the age of only 27, and in the past eighteen years has worked with many of the UK’s leading wine merchants. His father, Charles Steevenson, spent more than twenty five years building Steevenson Wines an independent wine merchants based in the South West of England. Liam has not only continued pursuing his father’s passion, but has also forged his own path within the wine industry, combining the knowledge gained in his upbringing, with his own personal experience and journey to ultimately end up co-managing Red & White a specialist consulting company helping wineries looking to build their businesses and make connections. Red & White was awarded the Regional Wine Merchant of the year in 2011. We are excited to be working with Liam on our wine list who will ensure we are offering an interesting and varied range for our guests to choose from. We’re sure you’re asked this a lot, but what is your favourite wine region / type of wine, and why? You are right. This is a question I get asked a lot, well certainly the ‘what wine do you like the best’ question, to which I honestly do not have an answer. The beauty of wine is the depth of range, and how different varieties from different places taste. But when it comes to favourite regions, I can offer more of a view on that one. Wine is generally made in beautiful places and certainly the vineyards of South Africa, Argentina and New Zealand’s South Island take you to areas of incredible beauty. However, in pure wine terms, Burgundy still excites me more than any other region, for the the notion of terroir, a concept that wine reflects place applies everywhere, in the mono-varietal vineyards of the Côte-d’Or it is at its most apparent. When you’re not tasting, drinking or talking about wine, how do you spend your time? I now work globally as a wine consultant, helping wines find markets and markets find wine. I also play an increasing role in production, which means I am away more than ever. However I do have three children, so obviously they take up a lot of my spare time in the best of ways. For myself I love a challenge; I rowed across the Atlantic four years ago and now I am in training for a channel swim. Other than your father’s influence, what is it that’s encouraged you to pursue a career in the wine industry? My father played a huge role. I grew up with wine very much part of the daily conversation and his passion for the product has always inspired me to learn more and be the best I can. I have met hundreds of individuals that have in their own way inspired me over the years. However, I don’t think I ever needed that much pushing. Tasting, travelling, talking wine is not something I am ashamed of admitting I enjoy very much. What are the biggest challenges in the wine industry? Without doubt the biggest challenge that faces every aspect of the industry is profitability. The wine trade is unbelievably competitive and the world as a whole is consuming less and less wine every year, as we as a global population become increasingly health-aware. Margins are incredibly slim throughout – lots of people enjoy the wine industry but very few in it make a fortune. When trying a wine, what should we be looking and tasting for? Enjoyment. Wine is far too pretentious a subject for it’s own good. Wine is a drink and should not be taken anymore seriously than good beer or a great gin. However, I like wines that reflect place and person, show some character of where they’re from and the individual that crafted them. Everyone should buy wines from independent merchants – they care about these things more than supermarkets. Why do you think it’s important to educate people on wine? I have just come back from a week in India, a new wine market and one desperate to learn. The hunger for education there is incredible, and if delivered will set the country up for an exciting future. Education is vital. We unfortunately live in a country where almost all wines are purchased from supermarkets where very little advisory help is given. To learn, you have to pick up a book, attend a course, or ideally build a relationship with a good merchant. What do you take into consideration when creating a restaurant wine list? I like short wine lists tailored to the style and feel of a restaurant, I think those 100 bin wine lists are crazy and actually show no ability to be selective. I think a range of pricing is clearly important, as is style. However I like wine lists to be brave; a restaurant is a place you should be trying something new, advised by good staff, drinking in good glasses with wine served in the right way. I can’t stand wine lists full of supermarket favourites – be braver than that. Where in the world is your next wine-related adventure taking you? My father and I are off to France later this month to blend our house wines. It’s great to get your hands dirty and get involved with the wine that we then sell our customers, you also can’t beat spending time in producing regions. It’s the best and most enjoyable way to invest in your own knowledge. What wines can guests expect to see on the wine list at The Old Quay House? Wine has always been an incredibly important part of The Old Quay House offering. They work incredibly hard to make sure they are offering the customer something interesting and new. With The Old Quay House being such a food destination too, making sure the wines work with the menu is equally important. This year it is a truly global selection. Considering our proximity to the sea, we regularly feature a lot of seafood on our menu. Will this affect the selection you’ll make for the wine list? Absolutely, and it means there is an expectation of course to sell more white than red. The palate in the UK for wine is changing anyway, to whites that are light, dry and elegant. As a result we drink more of things like Picpoul de Pinet, Albarino, and Muscadet, all very fish friendly wines. Personally I am a nut for White Burgundy, so I’m in heaven with something good from the Côte-d’Or and a delicate fish dish.